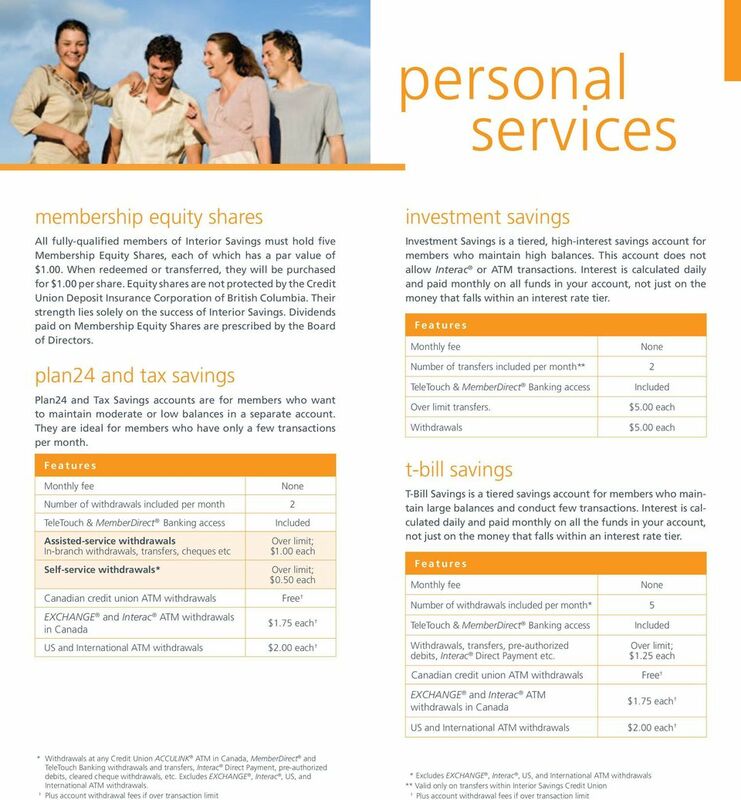 Download "personal services membership equity shares investment savings plan24 and tax savings t-bill savings"
3 chequing total service packs Effective October 1, 2012 total service packs We offer a variety of chequing accounts to meet our members needs. All accounts include an electronic statement with electronic cheque images. 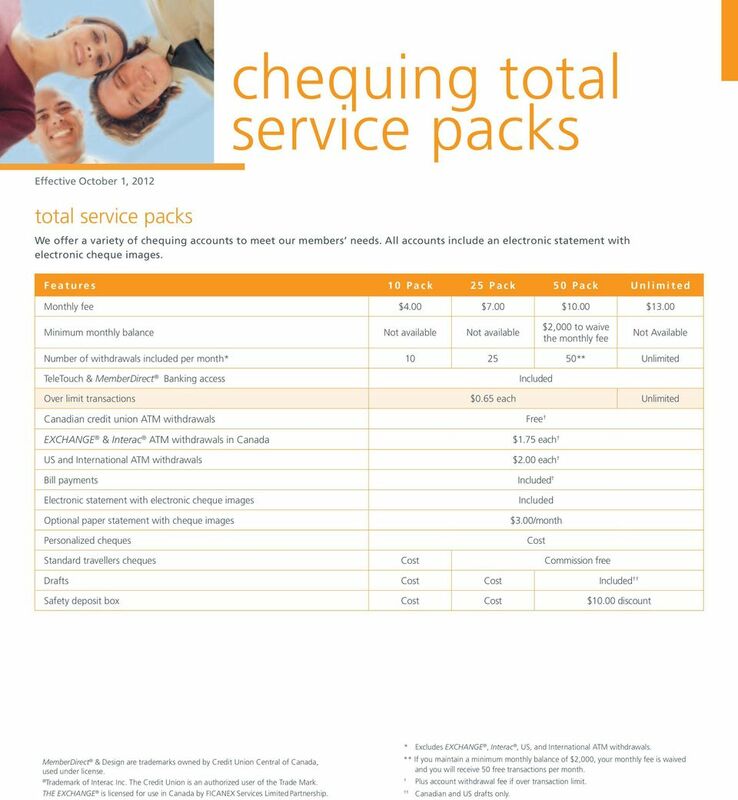 10 Pack 25 Pack 50 Pack Unlimited $4.00 $7.00 $10.00 $13.00 Minimum monthly balance Not available Not available $2,000 to waive the monthly fee Not Available Number of withdrawals included per month* ** Unlimited Over limit transactions $0.65 each Unlimited Canadian credit union ATM withdrawals Free EXCHANGE & Interac ATM withdrawals in Canada $1.75 each US and International ATM withdrawals $2.00 each Bill payments Electronic statement with electronic cheque images Optional paper statement with cheque images Standard travellers cheques Commission free Drafts Safety deposit box $10.00 discount MemberDirect & Design are trademarks owned by Credit Union Central of Canada, used under license. Trademark of Interac Inc. The Credit Union is an authorized user of the Trade Mark. THE EXCHANGE is licensed for use in Canada by FICANEX Services Limited Partnership. * Excludes EXCHANGE, Interac, US, and ** If you maintain a minimum monthly balance of $2,000, your monthly fee is waived and you will receive 50 free transactions per month. 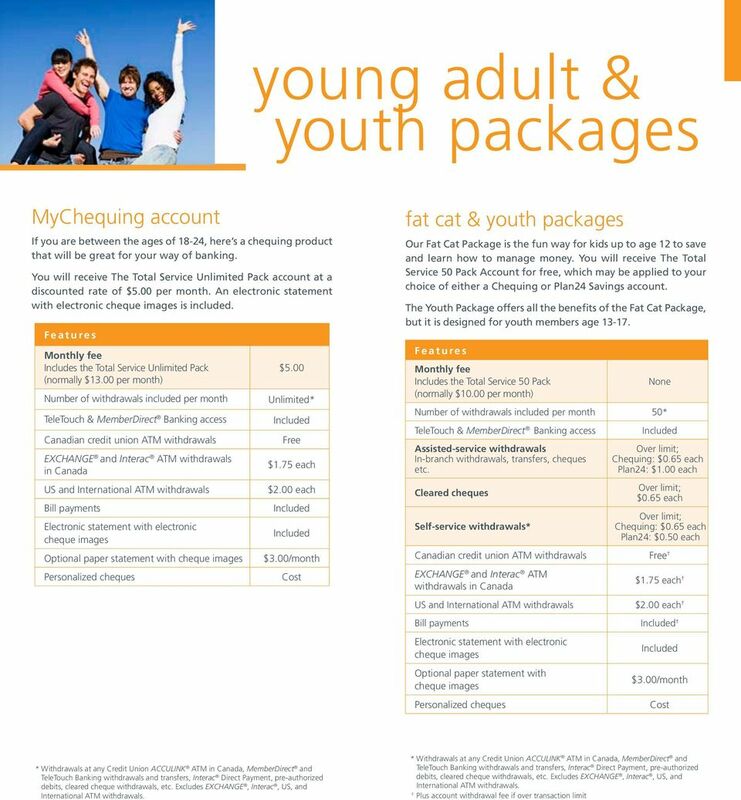 Plus account withdrawal fee if over transaction limit. Canadian and US drafts only. YOUNG PROFESSIONALS Guide to Getting Started on the Right Financial Foot Presented by: 1 As a young professional, you know that the financial choices you make today can impact your future goals and lifestyle. Proud to assist on all their goals. See inside for a chance to Win Big and get your kids a Signing Bonus! Choices BANKTENNESSEE Choices Banking is personal again! 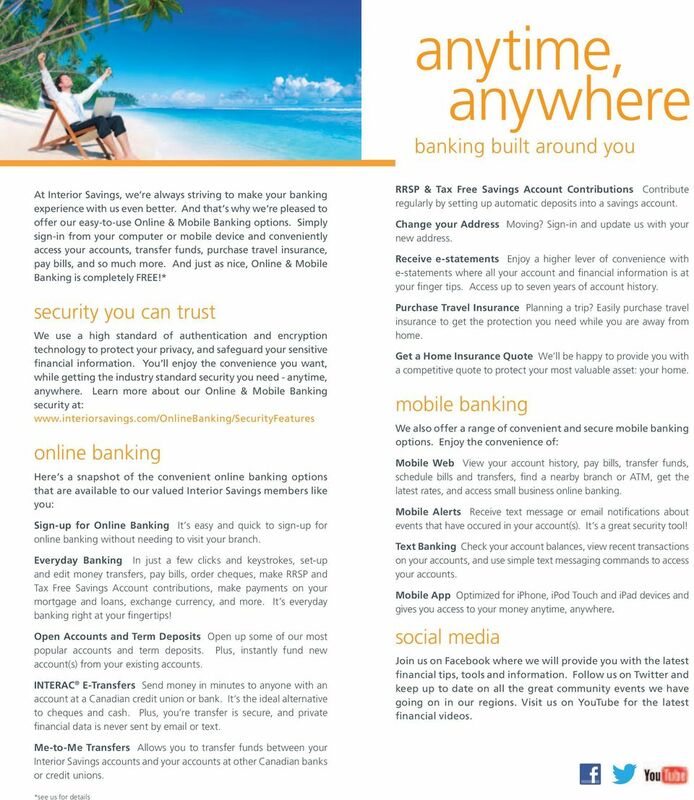 You ve made a great decision to choose BankTennessee. We re known for our personal service and our dedication to making our customers lives better. 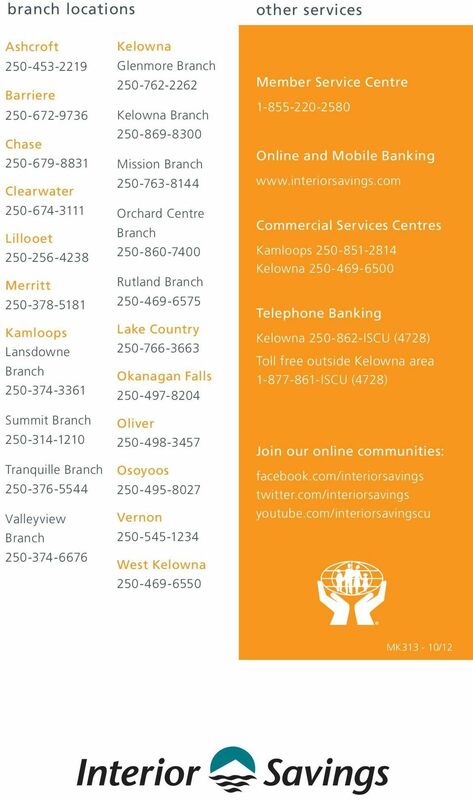 Money Matters A newsletter for First Credit Union members. Banking at the speed of your life. Online. Mobile. Superior. Safe. 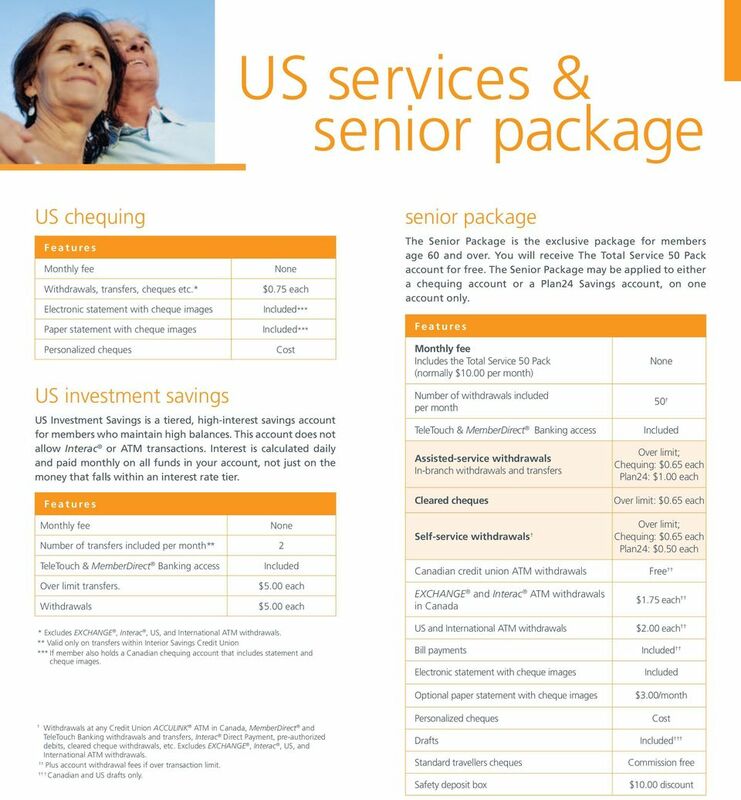 + Checking & Savings + Smart choices for managing Your money. REALSite FAQ for Possibilities CHECKING 1. How do I deposit money? -Use Direct Deposit for your payroll or government checks; this gives you instant access to your funds without having to visit a branch.